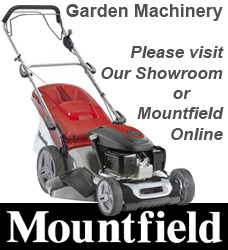 Lawn Mowers, Garden tractors, Lawn Mower Spares, Strimmers, Shredders, Pumps, Chargers, Woodworking Machinery, Power Drills, Routers, Sanders and Power Tool Accessories. Please use this line for information on any Machinery / Hardware Type Products seen on Ebay. Use this number when ordering machinery for a local delivery (25 mile radius).